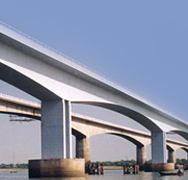 Chiraiyatand Bridge - Rite Geosystems is a global instrumentation and monitoring solution provider, offering turnkey solutions in geotechnical, structural, environmental monitoring and geodetic surveying. A unit of the renowned Encardio-rite Group, Rite Geosystems leads the group’s operations across the world in USA, Europe, and Asia. 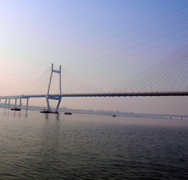 The 4 lane cable-stayed over bridge is the second of its kind in the country built with German technology jointly by the Bihar State Bridge Construction Corporation and IRCON. While 42 cables were utilized for the over bridge, 22 cables were used for completing two lanes of the bridge. The cables used by the railways were imported from Germany and quality tested in Switzerland. 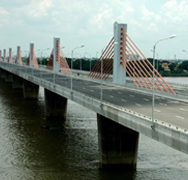 The functioning of the over bridge is monitored through a computerized system. While it was decided that 45% of the load will be put on the cables in the beginning for easy traffic movement on the bridge, the railways are to reserve the remaining 55% load capacity to meet any emergency due to the increasing traffic load. The over bridge was built with a special system to protect the cables in particular from the sun, water and rust. 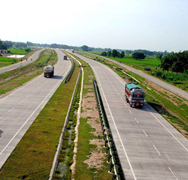 The total project expenditure costed more than INR 74 crore. 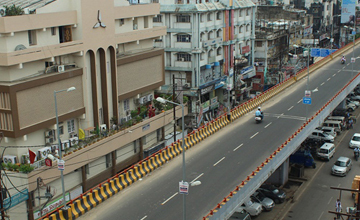 The project is a joint venture of the railways and the state government. Encardio-rite was awarded the complete instrumentation order for the project.